Yes, the rumors are true! 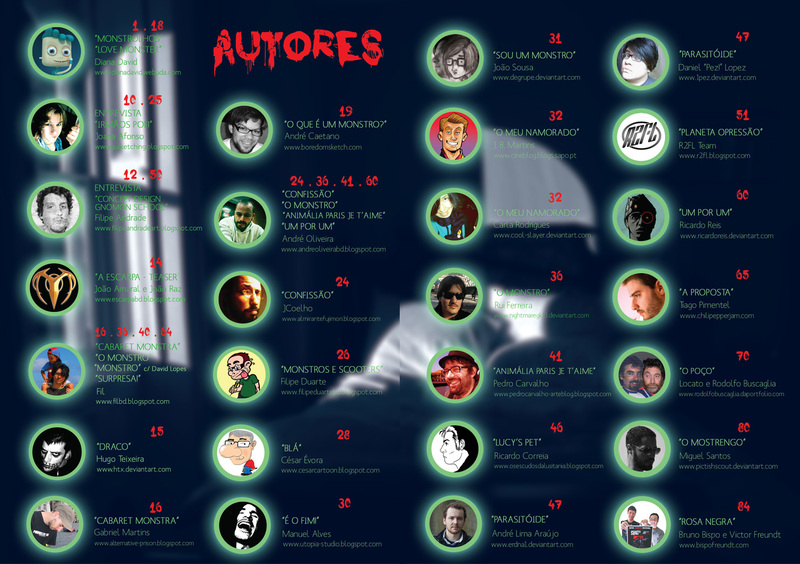 There is a new issue of Zona - the collaborative comics and illustration project I'm a part of - coming your way. This information is a little more relevant to my portuguese followers, but I'll keep it in english so everyone can understand. 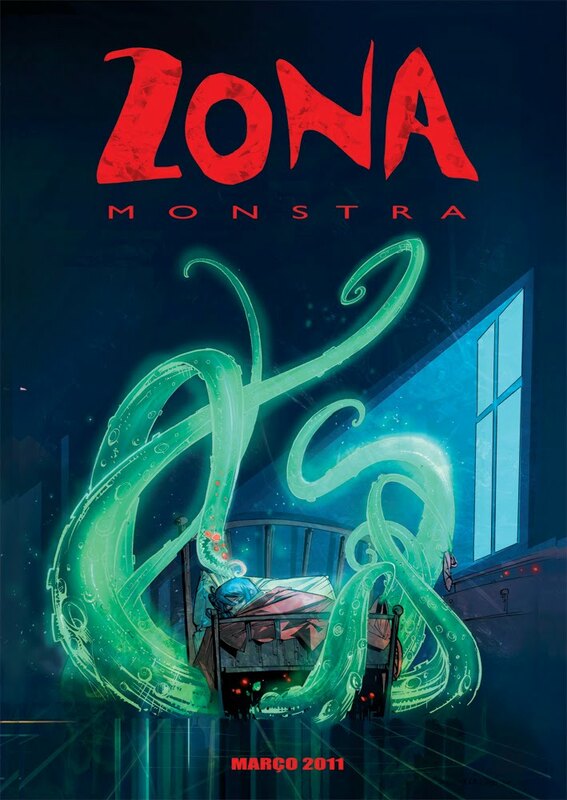 The next issue of the alternative magazine Zona, Zona Monstra, will be released on March 26th, on the animation festival Monstra, in Lisbon. For those of you that don't know, MONSTRA | Lisbon Animated Film Festival is the oldest cinema festival in the city and its 10th edition will occur between 21 and 27 March 2011. This festival presents the best in the world of animation cinema and discloses new proposals of dialog between animation arts and performance, interactivity, among others. It will be an awesome place to showcase Zona and show our work. This particular issue is close to 90 pages, all dedicated to one theme: monsters! It features work by a lot of incredibly talented artists, like you can see below, on the index (don't forget to fullview!). 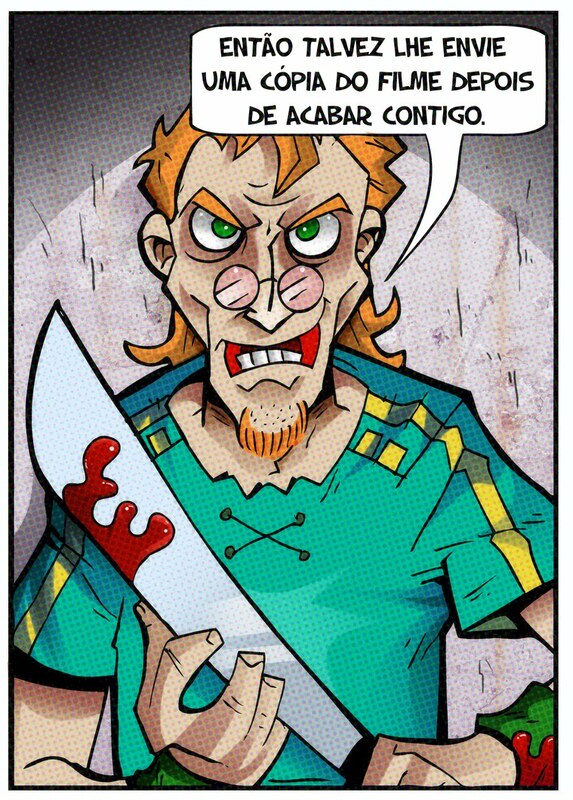 I collaborated with my friend, and co-creator of Kubrick's Garage, J.B. Martins, to create a 4-page comic. I can't show it to you yet - you'll have to buy Zona Monstra if you want to see it - but I can give you a little tease: here's a pannel from my comic. So I hope to see you guys in Lisbon, Cinema S. Jorge, March 26th at around 18h45, we can chat and draw and it'll be awesome! If you want to buy this, or other, issues, please go to Zona's blog and you can take it from there. Shipping is free to Portugal.